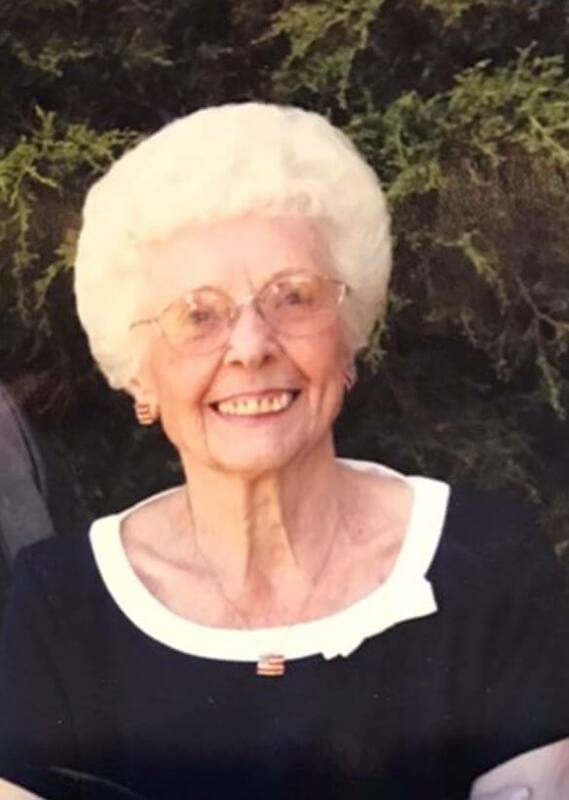 Myrtle Ruth Stanbrough, of Golden, Colorado passed away on February 10, 2019. A visitation will be held on Thursday, February 14, 2019 from 10:00 AM to 7:00 PM at Horan & McConaty Family Chapel, 7577 West 80th Avenue, Arvada, Colorado 80003. Funeral Service will be on Friday, February 15, 2019 at 10:00 AM at Arvada Baptist Church, 8350 West Pomona Drive, Arvada, Colorado 80005 with interment at 1:00 PM at Crown Hill Cemetery, 7777 West 29th Avenue, Wheat Ridge, Colorado 80033. Memorial donations in Myrtle’s honor can be made to Arvada Baptist Church, 8350 West Pomona Drive, Arvada, Colorado 80005 or the Children’s Hospital (oncology unit) at Children’s Hospital Colorado, Anschutz Medical Campus, 13123 East 16th Avenue, Aurora, Colorado 80045. Please share memories of Myrtle and condolences with her family by signing the online guestbook below. Rest in peace, Aunt Myrt. You have always been passionate about your family and your country, and I will always remember you. Memories of you bring a smile to my face and my heart. She was a lovely lady that will be missed. I really enjoyed getting to meet her and to play piano for her. I hope you are enjoying God’s beautiful garden. I know I will see you again one day and we will celebrate in God’s majestic kingdom. I will always cherish you and all the memories we created. We met Jim and Myrt over 30 years ago. We attended the same church and were involved in the same political concerns which began a long standing and close friendship. They both loved and served the Lord, and were true Patriots of this nation that has been blessed beyond measure which led them to freely give of their time, treasure, and talents to insure the legacy of faith and freedom would continue for generations to come. They were known, loved, and respected by many, starting with their family and expanding widely into their many spheres of influence. To say that they are missed is an understatement. We treasured their friendship, yet are joyful in knowing they have reached their ultimate goal of having the eyes of our Lord and Savior meet theirs in that promised place of peace for eternity. We will meet again on that Beautiful Shore! Our thoughts and prayers are with you and your family. May your many memories bring you comfort at this sad time.